As we drove, we left behind the suburban strip mall sprawl and started to get into fields dotted with deep green trees. We drove past farms, Wild West Pony Express routes, and flying schools with tiny one-man airplanes. The landscape slowly started to shift from sparse forests to rocky mountainside, and we wound our way gently but steadily upwards. 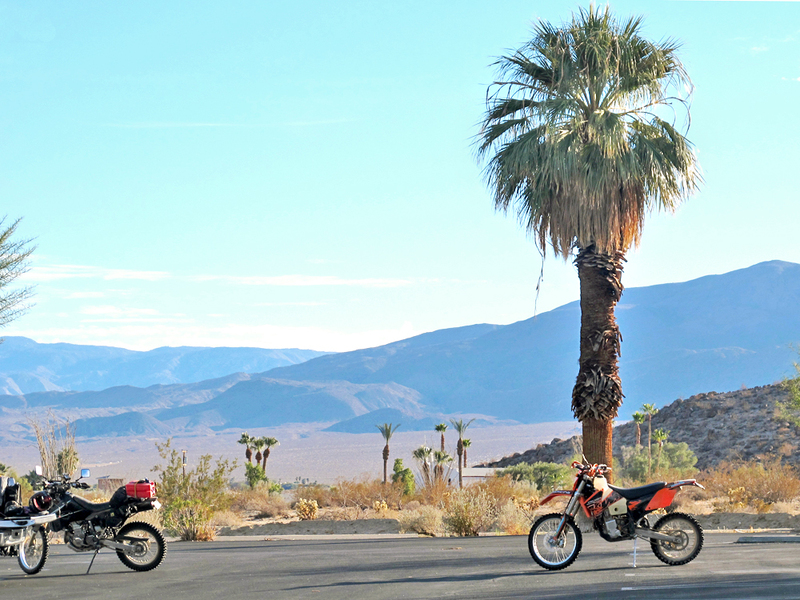 Suddenly, we swooped around a curve and saw the dusty gold of the Anza-Borrego Desert stretched out far beneath us for miles and miles. 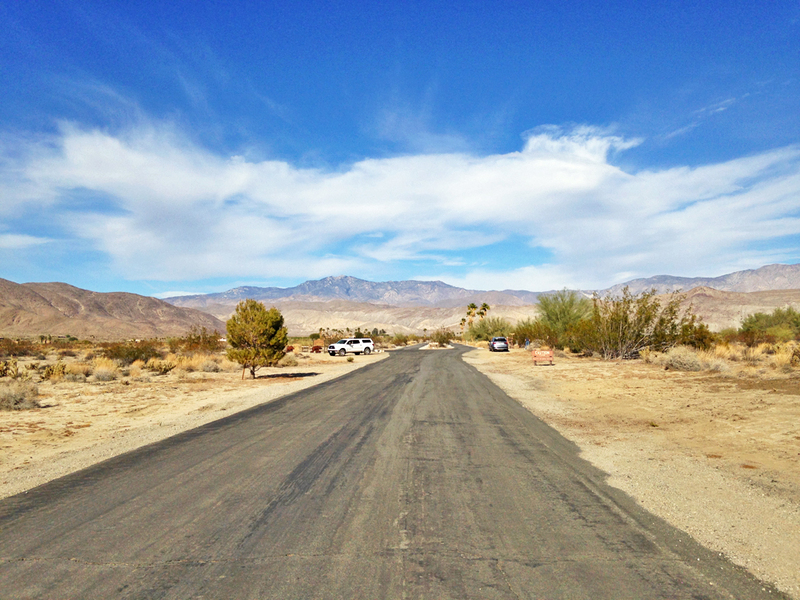 The road began to slope downwards, and we dipped towards our destination: Borrego Springs. 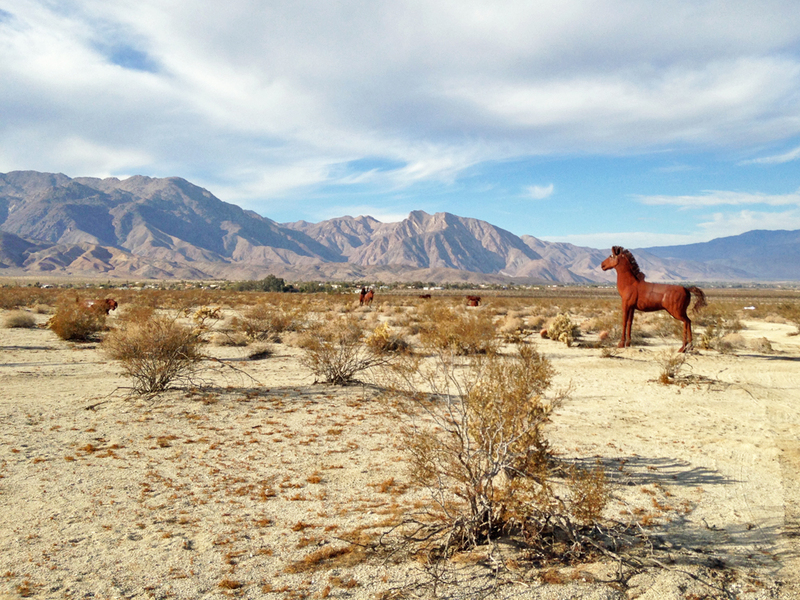 Borrego Springs is a tiny little town in the middle of the desert that’s home to about 3,500 people. The name comes from the Spanish word for “little lamb”, because it’s roamed by herds of bighorn sheep. Everything you can see here now is bone-dry desert, so it’s hard to imagine that in a distant past, this was once a lush tropical landscape. But that’s really what it was; a sign posted near a turnout stop explained it. The only sign of anything remotely tropical that still exists is the trickle of a river that cuts through the mountain before aimlessly petering out in the endless sandy expanse. Today, you’ll drive through a small town that feels like it’s stood still for years, not that the locals seem to mind much. They’re friendly and enthusiastic about their little desert holdout, though, which is just as well because of the recent stream of curious visitors that have started coming through. Part of it is the natural wonders that you can find here. It’s the only town in California completely surrounded by a state park. It almost never gets properly freezing, so there’s an incredible range of wildlife and plant life here. Some of the species that live here – plants and animals alike – can’t be found anywhere else on the entire planet. At nighttime, things are equally fascinating; Borrego Springs is the first International Dark Sky Community in California. At 55 miles from the Pacific coast so many people want to live on, it’s far away from light pollution and hosts lots of public astronomy events during the year. There are no traffic lights in the town to avoid unnecessary light pollution. But there’s also a decidedly non-natural reason that people come – and that’s to visit an incredible scrap metal sculpture gallery here. 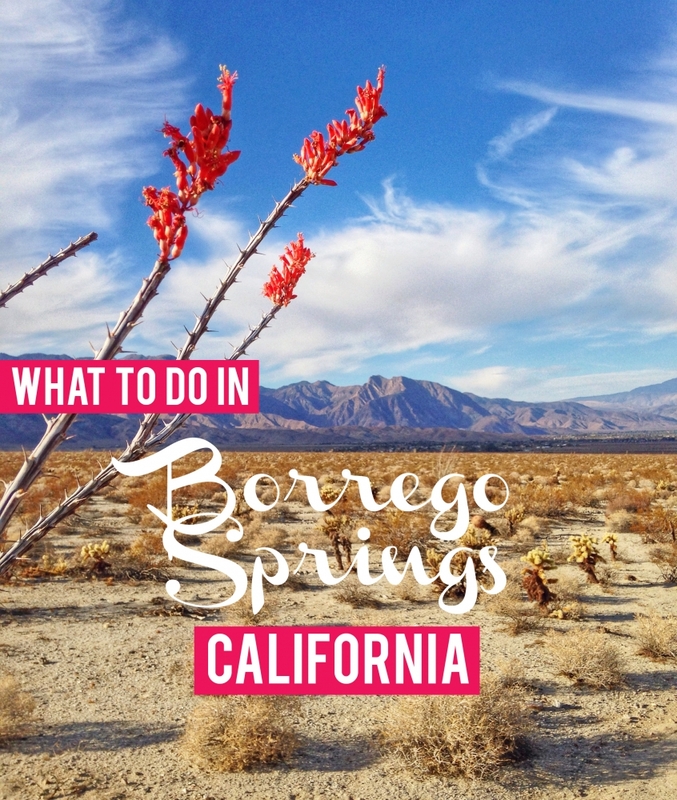 Do a loop around Christmas Circle Drive (really, that’s its actual name) and head towards Borrego Springs Drive in either direction. If you look carefully across the desert landscape, you might see fantastical rust-colored creatures start to rise up in the distance. Maybe you’ll see a pair of dinosaurs roaring, or a sea serpent snaking across the road, or even a post-apocalyptic scene with massive insects fighting each other, frozen in an endless battle. The sculptures are the work of Ricardo Breceda, a local artist who used to be a cowboy boots salesman and then a construction worker. 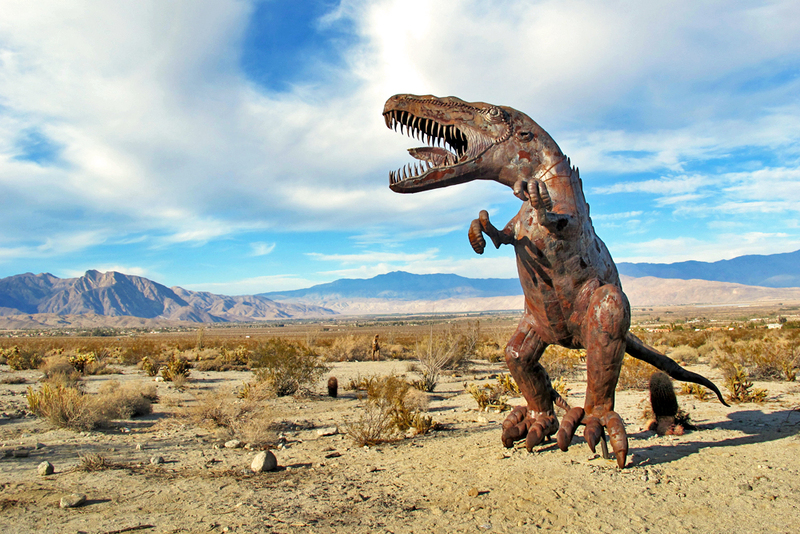 It all started when he made his daughter a special T-Rex sculpture when she asked for a dinosaur for Christmas. He started making more and more of these sculptures, and people started getting interested in buying them. 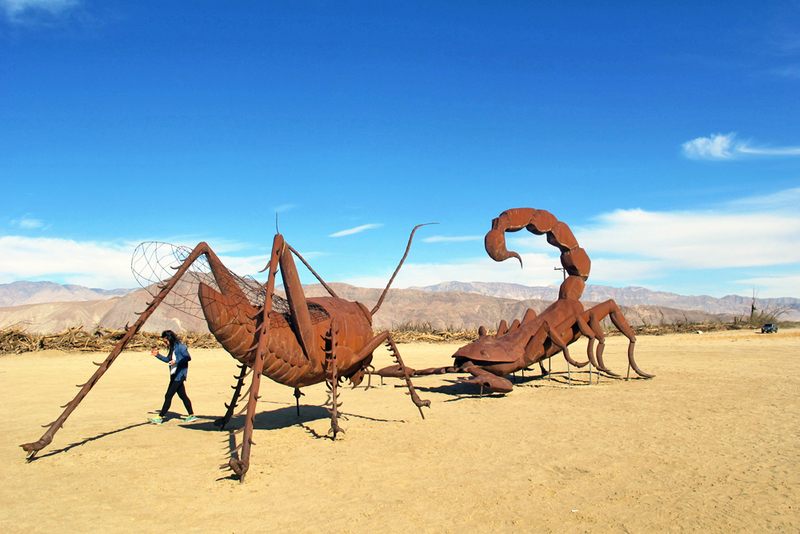 A few years down the line, a local philanthropist in Borrego Springs hired him to create a huge series of sculptures he’d found in books about fossils found in the desert and ones about mythological creatures. 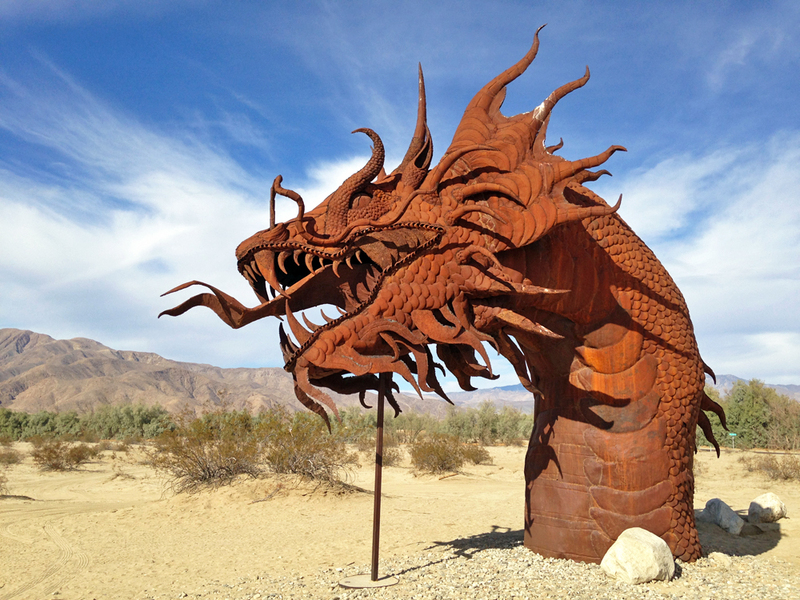 That’s exactly what you’ll find here; sculptures of creatures that once roamed the desert but no longer exist, fantastical creatures, and a few pieces about California history. 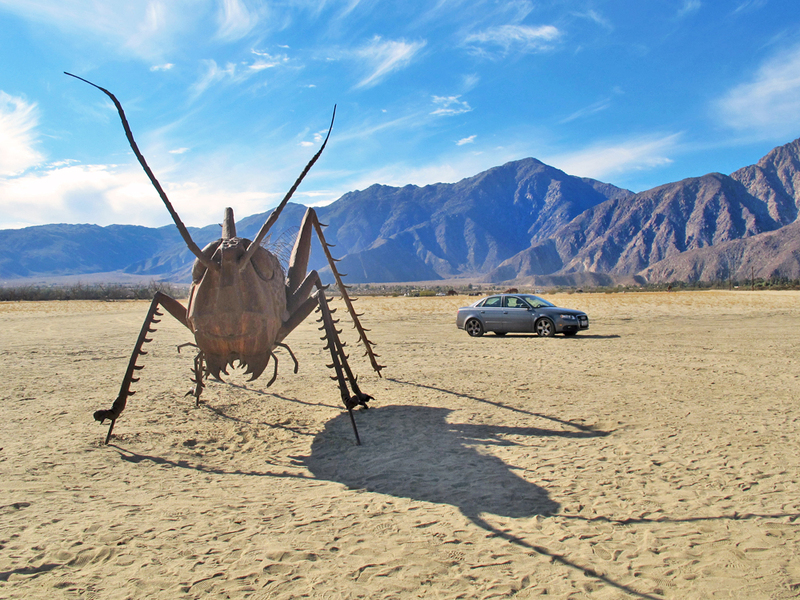 They’re dotted across a few mile stretch of Borrego Springs Drive, and doing a little car “safari” between the sculptures is a great way to spend the day. Some visitors also take advantage of the lack of artificial lighting here to see these magical creatures against a starry night sky. If you go in the springtime, you might be lucky and see the desert wildflowers in bloom. 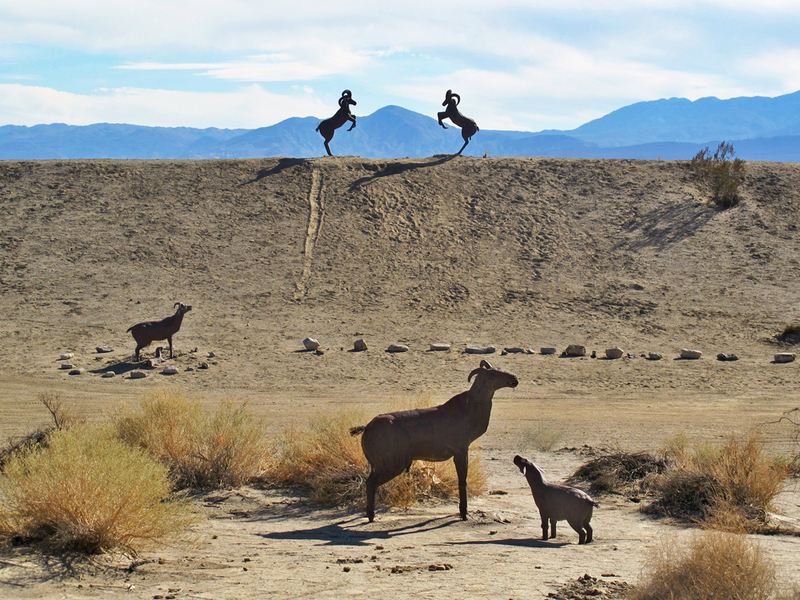 Borrego Springs is a 2 hour drive from San Diego and 3 hours from L.A.
Stop at the state park store on the way into the town – they have maps available that show you where all the sculptures are. As an added bonus, the staff are super nice and love chatting to visitors. 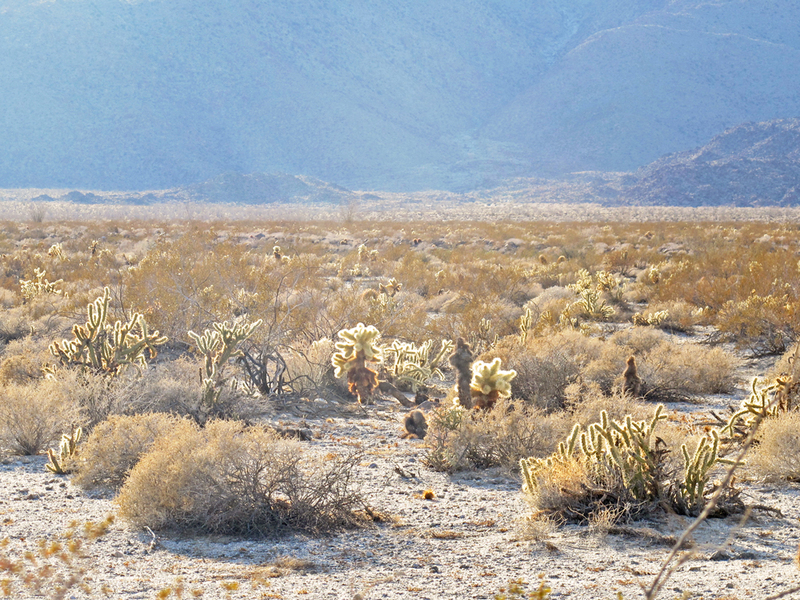 Take sunscreen and water – it gets hot in the desert, even in winter! Make sure your car is good on fuel, too, as there are large stretches of the highway that don’t have much in the way of gas stations (or much of anything, really). Bonus tip: read Gold Fame Citrus right before you visit for a weird desert experience book. This looks like a very cool place. It’s awesome! It’s a bit out of the way but definitely worth a stop. Let me know if you have any more questions, I’m happy to help! Thanks!I’ll definitely take something warmer. I’ve started seeing pictures online of people in San Francisco, mostly wearing jackets. Thanks again for the advice! You’re welcome! Sounds like you have a great trip planned. It’s so awesome in person! The scenery by itself is pretty stunning, but the sculptures make it feel like you’ve gone to another planet or something. This looks like such a cool place—I had never heard of it before, even though it’s right next door to the Salton Sea, a destination I’m interesting in checking out someday. Since I’m moving to Phoenix for a new job next month, I’ll have to add this to my bucket list of places to explore…especially en route to LA! What an extraordinary place – and your photos capture it so well. Another place now on our “to visit” list because of you! Thank you so much, Rosemary! It’s a really fun place to go for a day out.